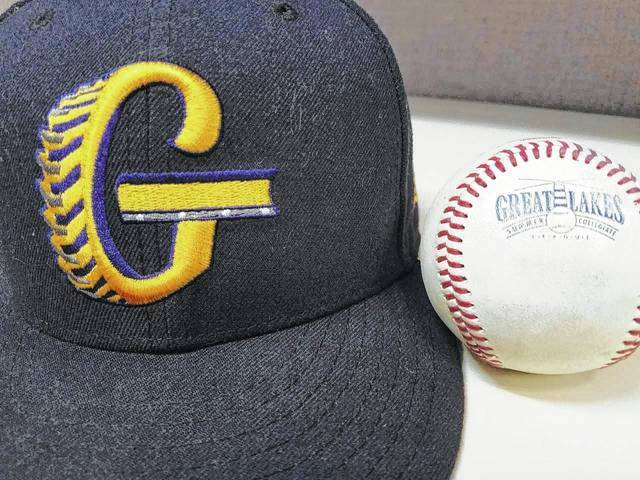 GALION — After the Galion Graders offense came alive Thursday in their 13-10 slugfest victory over the visiting Irish Hills Leprechauns, the two teams met again at Heddleson Field in Heise Park on Friday evening to wrap their two-game series. The Graders offense continued to roll as they collected 14 total hits en route to a 9-3 win over the Leprechauns. Irish Hills also recorded double-digit hits, racking up 11 total but stranding 14 runners on the base path in the six-run defeat. Irish Hills got on the board first in the opening frame thanks to a single, a couple of steals and a pair of walks that led to an early, 1-0 lead. However, Galion would not trail for long, as Christopher Jordan opened the home half of the first with a single before Todd Sekowski took the first pitch that he was offered deep and out of the park to put Galion up 2-1. That would not be all though for the Graders as, with two down, newcomer Matthew Detering blasted a solo shot in his first at-bat in a Galion uniform. Now up 3-1, Seamus Kenneally reached on a single and was followed by a single from Austin Hathaway. With runners on first and second, Vince Donato ripped a single that plated Kenneally to cap the four-run first for the Graders. The Leprechauns would see just one hit in the top of the second but would load the bases, only to leave all three runners stranded without posting a run. Jordan would lead-off the second and just like he did in the first, reached on a single. A Sekowski single moved Jordan to third and after a stolen base by Sekowski, his 10th on the summer, both Galion players were in scoring position. They would not stay there long as Jacob Reimold plated them both to put the Graders up 6-1 heading into the third. In that third inning, Irish Hills would post three singles but fail to get a runner across the plate and leave the bases loaded for the second time in the contest. Offense for both teams remained silent throughout the fourth and fifth innings to send the game onward to the sixth with the home team still up; 6-1. The visitors were finally able to get a run across in the top of the sixth frame after two hits plated one but, for the third time in six innings, Irish Hills left the bases loaded in a critical situation and trailed 6-2. Galion would go in order in the bottom of the inning and the Leprechauns did the same in the top of the seventh. The Graders managed just a single from Detering in the bottom of the seventh as he was left stranded. With the possibility of just six outs remaining, Irish Hills delivered three hits in the eighth but again failed to get any runs across to send Galion up with the four-run lead in the eighth. That is where the Graders put the game out of reach, starting with a walk to Donato. Austin Harper would single to put runners at first and second for the red-hot Sekowski. On the first pitch of the at-bat, Sekowski ripped his second homer of the game, which is his third in the last four games, to help the home team put it away at 9-2. In the final inning, the Leprechauns would once again rack up three hits but it would only lead to one run as Galion emerged victorious; 9-3. Jose De La Cruz got the start and the win for Galion, tossing the first 5⅔ innings while giving up five hits and only two runs (one earned). De La Cruz finished with five walks and three strike outs. Creek Miller, making his Graders debut, picked up the save, going the final 3⅓ , surrendering six hits and an earned run while walking one and fanning four. Offensive statistics from Friday for Galion were: Team- 14/38, 11-1B, 3-HR, 9R, 9RBI, SB, BB, 5K; Sekowski- 2-HR, 1B, 3R, 5RBI, SB; Detering- HR, 1B, R, RBI; Jordan- 3-1B, 2R; Reimold- 2RBI; Kenneally- 1B, R; Hathaway- 1B; Donato- 2-1B, R, RBI and Harper- 2-1B, R.